Facing an allegation that she intentionally failed to provide a roadside breath sample, the client was liable to a minimum penalty equivalent to the sentence for impaired driving or driving with a BAC (Blood Alcohol Concentration) over 80: a lengthy driving prohibition, a hefty fine, and a lifelong criminal record. She retained Tyler MacDonald, an impaired driving expert, as her criminal defence lawyer to represent her at trial. The client was investigated by a police officer while she was behind the wheel of car that had pulled over to the side of the road, with an intoxicated passenger vomiting on the curb. The police officer made a demand that the client provide a breath sample into an approved screening device. If lawfully made and lawfully conducted, a demand like this must be complied with. If the person under investigation outright refuses a lawful breath demand, or simply pretends to blow with no intention of providing a proper sample, they are guilty of failing or refusing to provide a breath sample. The roadside breath machine in this case never registered a proper sample after the client’s several attempts to provide a breath sample. The officer testified that this was because the client was not blowing, or pretending to blow, or only blowing in short puffs, in an attempt to feign compliance with the breath demand. The client testified that she was trying to blow at all times and didn’t know what went wrong with the machine or why a proper sample didn’t register. There was a police dashboard video recording of the entire interaction. Mr. MacDonald’s defence of the client included a cross-examination of the investigating officer (which the Crown prosecutor described as “blistering” and a “raking over the coals”), a comparison of the video-taped interaction against the known technical details and limitations of the breath machine, and evidence which corroborated the client’s position that she had not consumed any alcohol that evening and that she suffered from a relevant medical condition. After an examination of all of the evidence and arguments of the Crown and defence, and a review of the applicable legal tests, the trial judge found that the Crown had failed to prove beyond a reasonable doubt that the client had intentionally failed to provide a breath sample, and the charge was dismissed. 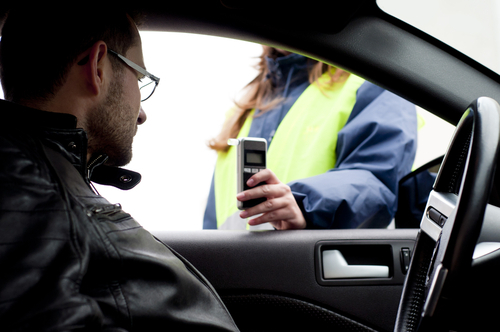 If you are in need of an expert impaired driving defence lawyer in Ontario, contact Mr. MacDonald.